As some of you know, part of Novi Ritm’s work during 2016-2017 has been and still is to raise awareness among Kyrgyz youth in relation to the UN Resolution 1325 on women, peace and security. You can read more about this project on our Swedish partner organization’s – the Central Asian Solidarity Groups blog – here and here. 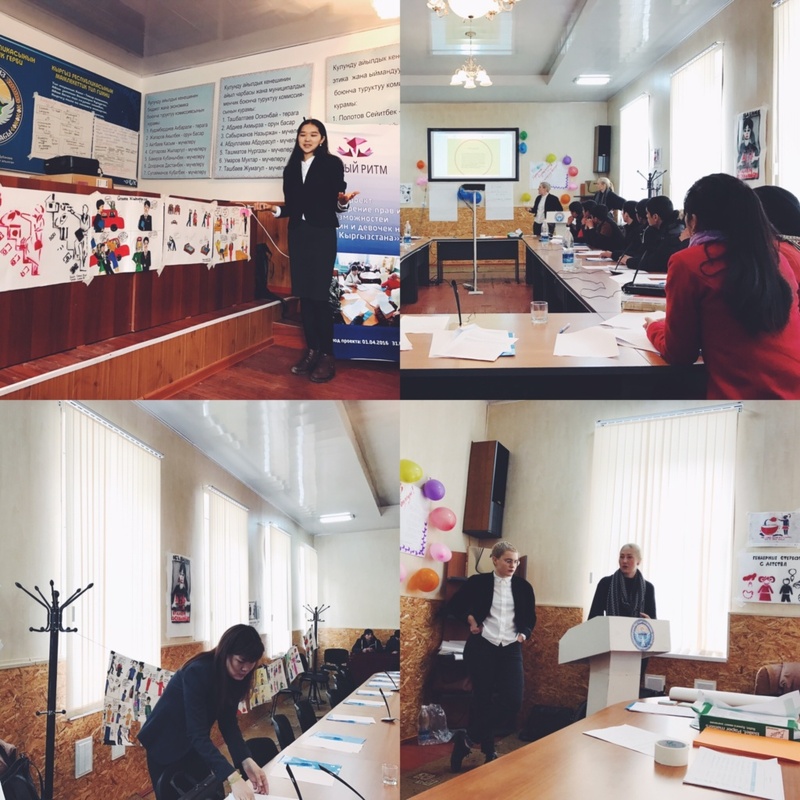 In February the 1325-team and Novi Ritm’s two new Swedish interns (Emma and Amanda) went to Batken Oblast, in order to conduct two trainings on human rights – especially focusing on women’s rights and 1325. 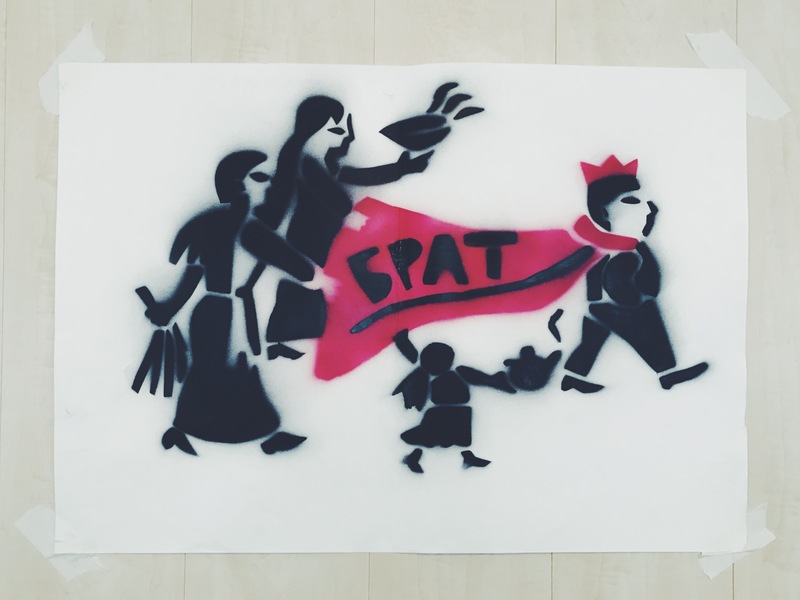 As a way of highlighting harmful structures in society as well as the level of inequality between Kyrgyz men and women, part of the training focused on comics and stencils, that the team had brought with them and that had been created in capacity-building sessions during earlier days of the project. Using pictures as a method to initiating discussions on topics such of men’s violence and women’s perceived subordination turned out to be a good way to form creative and constructive discussions between the participants. While Salima, Liana and Aida, who constitutes the 1325 team, presented the project, Novi Ritm, humans rights, methods of conflict-prevention – and the comics of course – Emma and Amanda held a short presentation on 1325; it’s goals and how these can be implemented in Kyrgyzstan. All in all, it felt like two successful trainings, which hopefully will result in lucrative implementations of the project during its third and last stage – which will begin in early April this year.